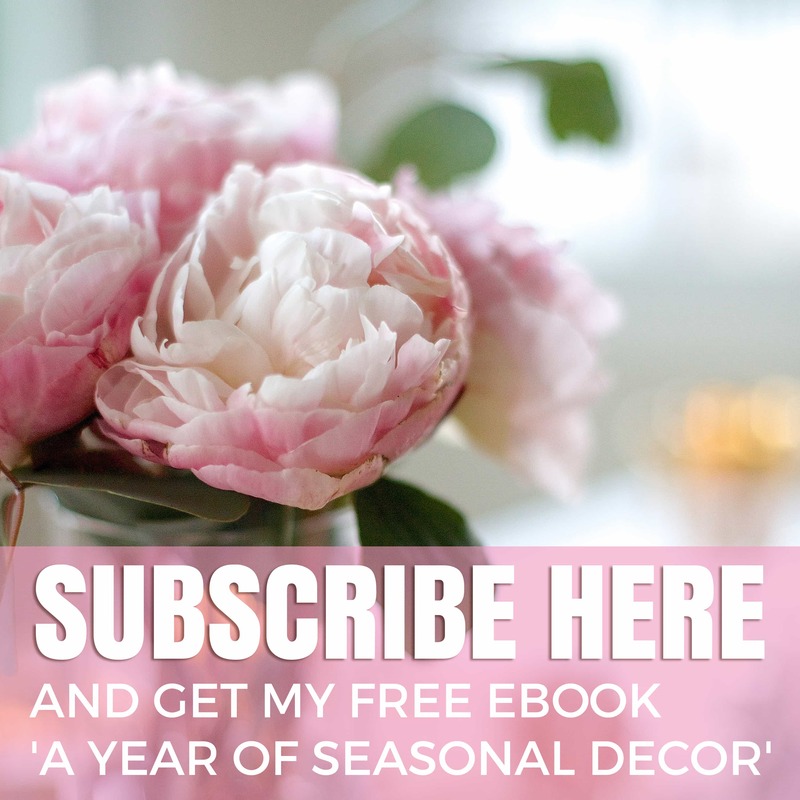 There are some things you can do that make a huge impact on a room. Painting the walls is certainly one of them, but to really change the character of a room, transforming a focal point like a new fireplace mantel can make it seem like you’re in a completely different home. This is the kind of change that gives you significant bang for your buck. When we moved into our home, there were some things I wanted to change but knew I could live with for a while. Others, like the mantel, had to go right away. This is the family room as it looked when we moved in. The bland wood mantel just didn’t go with the look I was going for. It was masculine and yet flimsy looking, too dark for the pale wall color I had in mind, yet not rich enough to make an elegant statement. I will reveal the whole room in a separate post, but the single biggest change to the look of this room came when we had a new mantel installed. 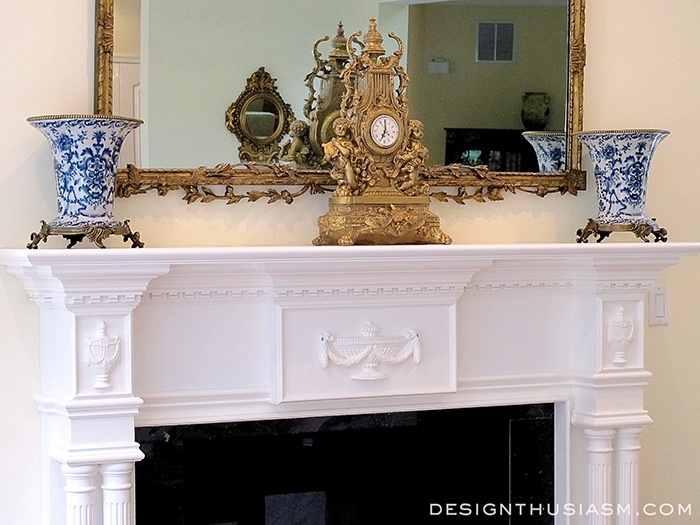 I selected a mantel with a classic design, including layered moldings and side columns. 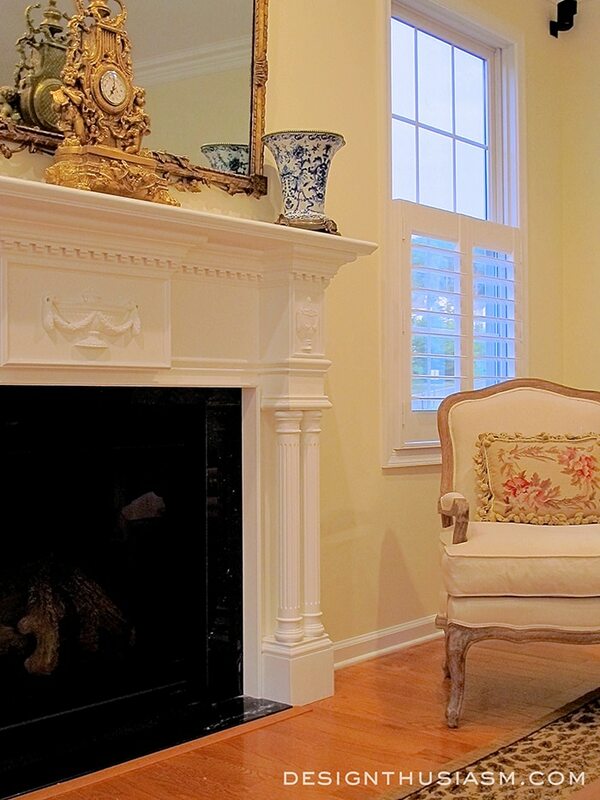 You can see a dentil detail below the mantel shelf and fluted columns for added interest. The overlays pieces at the sides and center show Grecian urns, giving the piece its classical character. 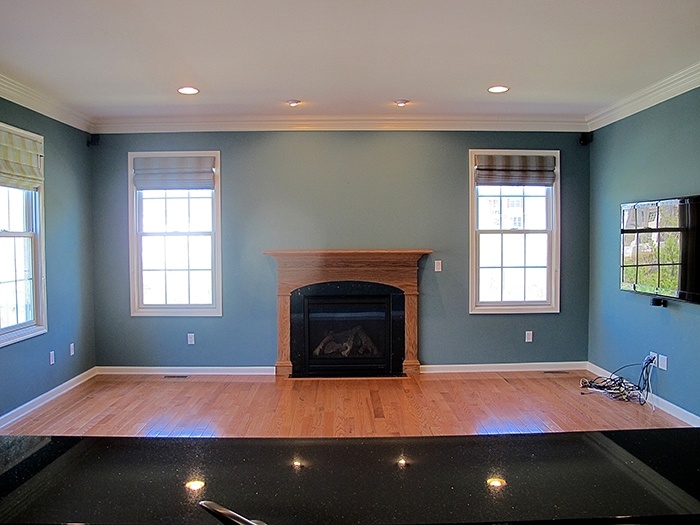 The mantel was painted Benjamin Moore Simply White to match the other trim throughout the home. 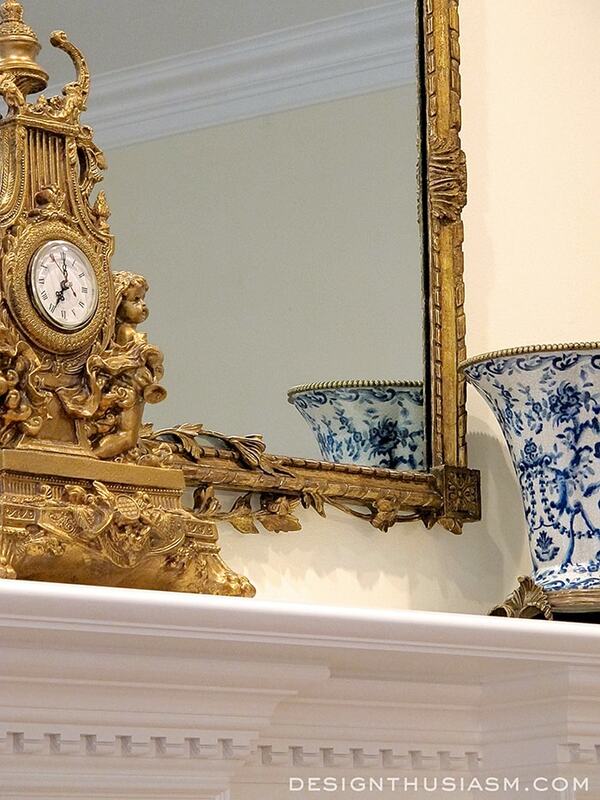 I chose to keep the mantel display clean, with a pair of chinoiserie vases flanking a gilded clock. You can get a hint here of what else is going on in this room, with pale custard walls and creamy white seating. 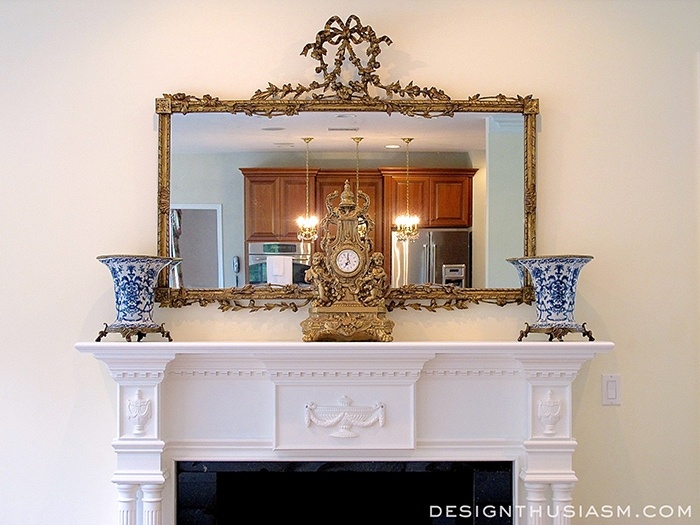 The crowning touch above the mantel is an antique mirror with gilded patina. I’ll share more of the details, as well as sourcing info, when I reveal the rest of this room. Linking with BNOTP, Dwellings Amaze me Monday, A Stroll Thru Life Tuesday, The Scoop, Savvy Southern Style Wednesdays, Jan Olson Thursday, The Vintage Nest Share Your Style, From My Front Porch to Yours, The Creative Exchange, Feathered Nest Friday, Romantic Home Friday, Shabby Nest Frugal Friday, Crafts a la Mode Weekends, Sundays at Home. Very beautiful:) I love the way the mantel seems to change everything. The mirror is gorgeous! One would hope that what is reflected in the mirror is as lovely as the mirror itself. Stainless steel appliances and kitchen cabinets are not at all what is expected and is one of the many reasons why I don’t advocate open floor plans. A kitchen is a kitchen, a living room is a living room, and ne’er the twain should meet. Interestingly, I actually very much agree about what’s reflected in the mirror, but in this case, it bothers me not because it’s a visible kitchen but because it’s not the kitchen I envision for when the renovation is complete (all white with calcatta gold marble and glass doors). We only moved into our new home 2 months ago, so I haven’t yet had a chance to finish renovating, which also needs to be timed to allow for budgetary constraints. As for the floor plan, I’ve often felt the same way in the past, not preferring open floor plans, but I actually now enjoy the proximity of out kitchen to the family room. This is not a living room – we have a separate formal living room. I personally enjoy looking at a beautiful kitchen and I enjoy being able to entertain with a comfortable flow between the kitchen and the adjoining family room. What we have now is not a completely open plan – there is a clear delineation between the rooms with a bar between them. I actually thought about adding upper cabinets above the bar with decorative dishes displayed in them, but doubt I will go that route because I’m enjoying the existing flow. Perhaps you will follow along as the rooms evolve and more is revealed. I’ll be interested to know how you feel as the renovation proceeds… 🙂 Thanks for visiting! Love the fireplace!!! I can’t wait to see the rest of the room! Thanks, Jeanie! This room is taking some time because almost everything in it is new, but hope to have the full reveal up soon… 🙂 Thanks for stopping by! 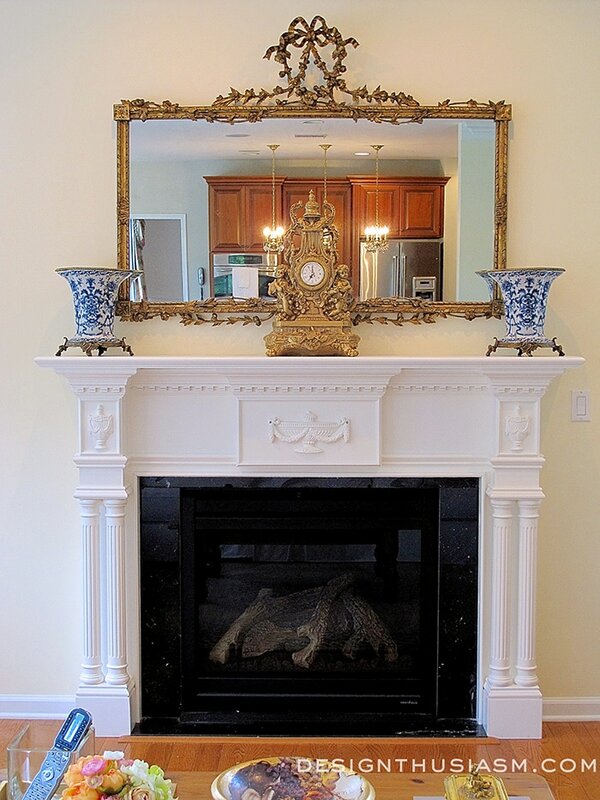 Your selection of a fireplace mantel is beautiful and classic, such a nice change for your room. Just loving that mirror. 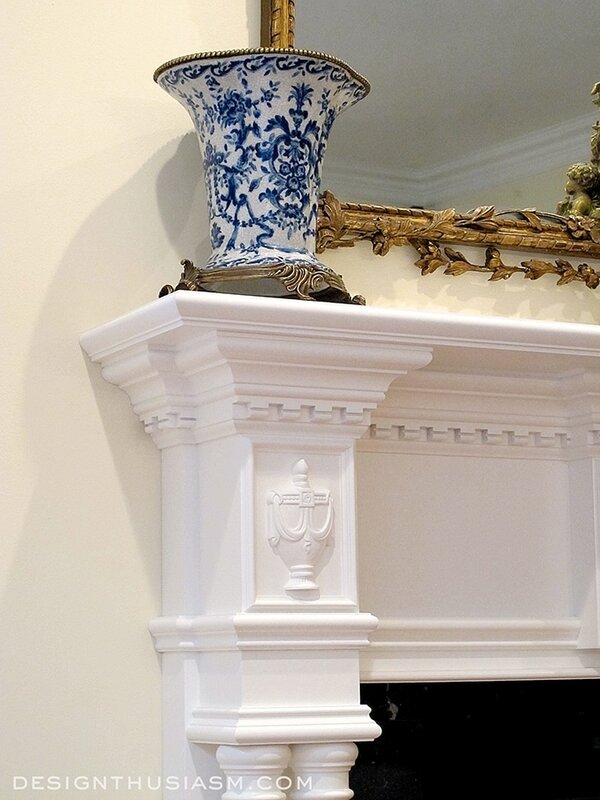 Just a beautiful mantle….so classic and charming. Love the color of your walls…..will you share the source for that and color name? Love your romantic home. Thank you so much, Toni! 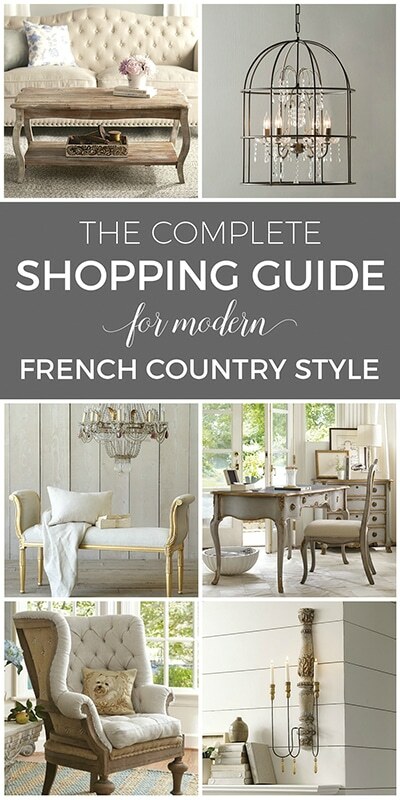 Sure, happy to share the paint color info. It’s Benjamin Moore Mannequin Cream 2152-60. Wow! So dramatic and beautiful! I love it! I love the new fireplace surround and the accessories you chose to display. So, so beautiful! Also, I really like the plantation shutters on the windows. Love it! Thanks so much, Maria! Yes, the shutters made a pretty big difference too, but was trying to hold off showing too much of the room until it’s done… 😉 Lol! Almost there, so will have another post hopefully soon. Thanks for visiting! Lory, your transformation is, as always, gorgeous!! All the elements work so beautifully together and just the right amount of décor on that WOW! mantle. The porcelains look very much like mine so I’m drooling over yours, too. I have an open kitchen/family room as well and will eventually change my cabinetry to creamy white, but that expense (ouch!) will come at the end of our home redo as the cabinets are only five years old and in great condition—the color just isn’t as complimentary as I’d like with rooms close by. Like you, I’m not letting that keep me from moving ahead with the adjoining rooms—at least we can fully enjoy those rooms while we’re in transition. Can’t wait to see the finished room. 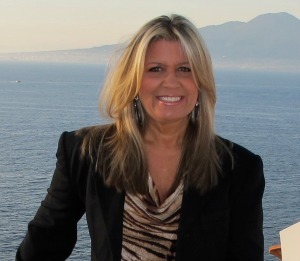 Thanks so much, Bobbi! We’re definitely of the same mind here… 🙂 Our cabinets, too, are pretty new, so the plan will likely be to have them refinished rather than replaced. But even that will have to wait until next year. 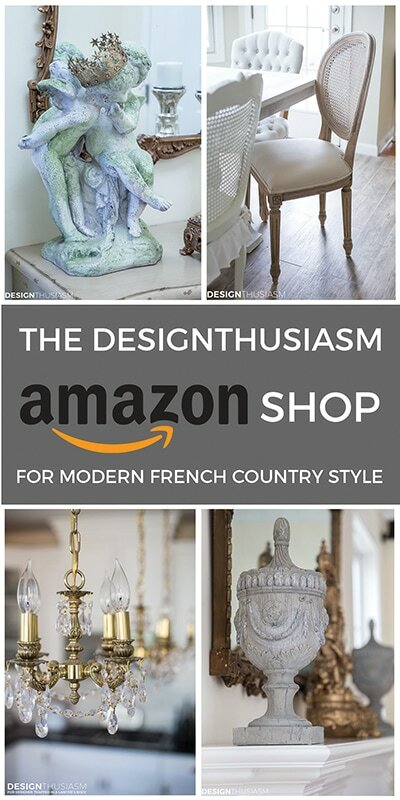 Still, I agree – I’m not skipping the beautiful mirror just because I haven’t renovated my kitchen yet! Lory, Could you please tell me what color wall paint you used in your family room. It looks like a creamy yellow which is what I’m thinking about for a couple of rooms. Thank you. Duh! Can you tell I was in a rush today? I just skimmed the replies and didn’t even see that you already answered the wall paint color—what a ditz I am! Oh my this is fantastic! Love the details of the mantel and surround. When I saw the mirror I had to come see this post. The vases and clock are such perfect choices on the mantel. You must be so happy to see this every day! Hi Lory, your room it totally transformed, so gorgeous. The mirror and clock really are the icing on the cake. I’m featuring you on my blog for Share Your Style this week. Thanks so much for joining in on the party! Coming over from Share your Cup! 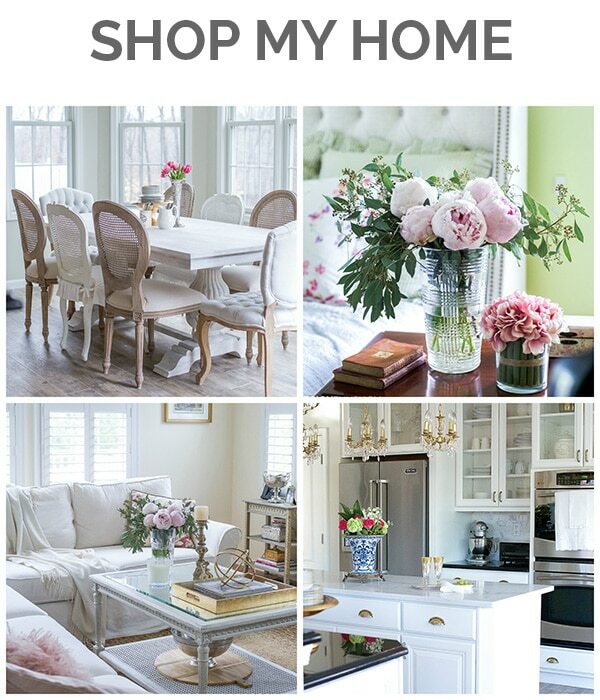 Love not only the mantel, but the paint, the mirror, the shutters, etc! What a lovely, and elegant transformation. You are an awesome designer and have an eye for beauty. I will never have this total look, but I can definitely steel a few ideas! Great post! Love the mirror and mantel Lory! And the clock! Beautiful. Your room truly is very elegant. Love the changes to your mantel. It makes your room perfect. 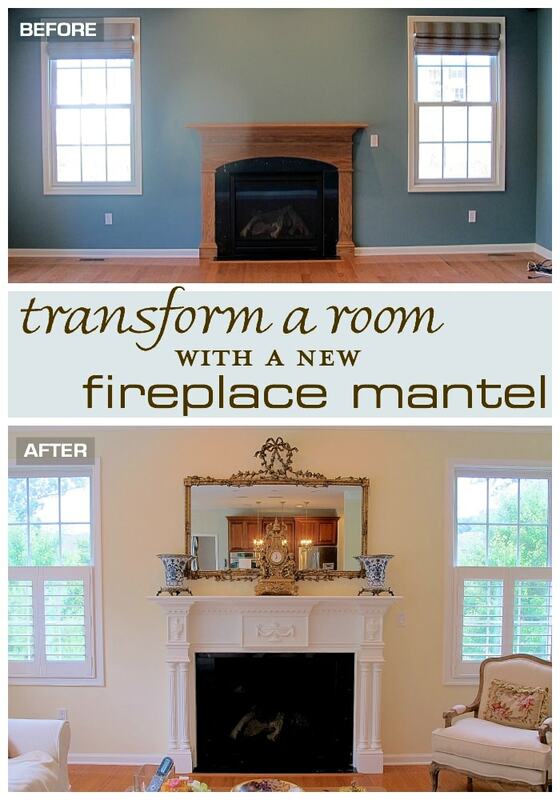 Your mantle is gorgeous Lory, and I would love to steal that mirror! It is stunning! I hope that you have a wonderful week!!! Where did you get the mantle? We don’t have a FP but would like a mantle. We lived 14 yrs. in Greece so I really like this one!